Lighted Tables – Illuminated Bars. 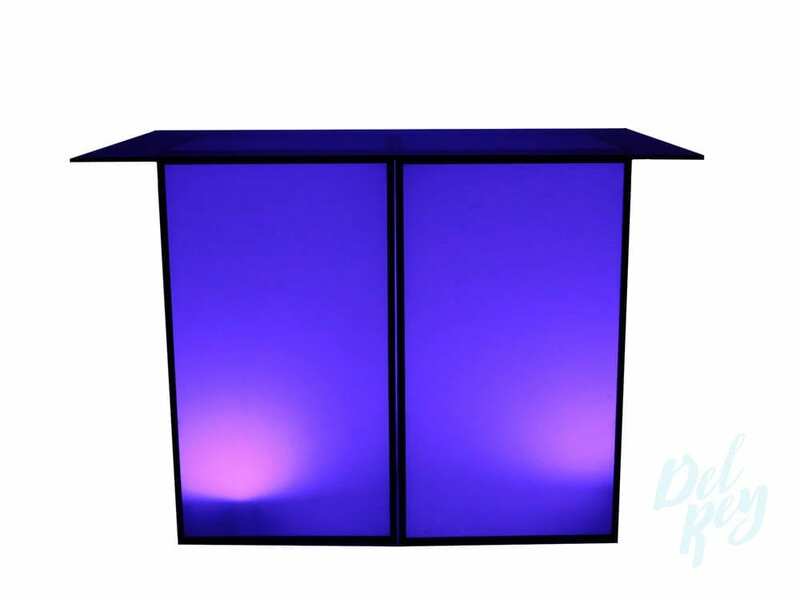 Distinctive event lighted furniture to complement your event. All units may be branded, Ask as how to incorporate your logo or brand. Our comprehensive inventory of Illuminated furniture rentals include: Lighted circular bars, Lighted cocktail tables, Illuminated coffee tables, Clear acrylic pedestal tables, Lighted columns, straight and curved LED illuminated bars. Perfect for corporate events and tradeshows to nightclub ambiance parties. Please call or email with any questions. Led lights are included with each unit. This lights could be battery operated, once your quote is submitted a representative from del rey rentals will contact you to determined the best lighting options. .